Marvel’s Inhumans is at its halfway point and despite a shaky start and being critically panned, the series is making good on its promise to show a different side to the Inhuman story than we’ve seen so far on Agents of S.H.I.E.L.D. Inhumans centers around the royal family of Attilan, a secret colony of Inhumans which lives on the moon. In the first two episodes, we learn that due to their lack of resources, Attilan society is arranged in a strict caste system determined by the powers you gain after going through terrigenesis. While the Inhumans we’ve seen on Agents have a gene that is triggered by terrigen, the Inhumans of Attilan have Inhuman genes to start with. Their leader is Black Bolt (Anson Mount), who is mute because the sound of his voice causes destruction. He rules with his wife Medusa (Serinda Swan), her sister Crystal (Isabelle Cornish), his brother Maximus (Iwan Rheon) and their cousins Gorgon (Eme Ikwuakor) and Karnak (Ken Leung). Unfortunately, Maximus, who does not have an Inhuman power, has been secretly plotting to overthrow Black Bolt and end the caste system. There is a lot of natural drama built into the story. Maximus and Black Bolt’s relationship is Shakespearean. In the first episode, Medusa, whose power is her flowing, prehensile hair, is shaved and shamed like a heroine in a Greek tragedy. And the Royal Family is forced to flee Attilan and go to Earth, scattered across the big island of Hawaii. Despite the drama and beautiful backdrop, Inhumans has struggled to find its footing in the initial episodes. One reason for the show’s rough start was the unfortunate choice to release the first two episodes as an IMAX feature. The development, from story to release, took less than a year and the type of special effects needed to tell a story which involves a queen with prehensile hair and a giant, teleporting dog requires more time from conception to execution. As a pilot, the story holds up but as a theatrical feature, it falls short. Additionally, in the desire to push the pace of the story for its theatrical release, some of the important character moments were lost. Now in the third and fourth episodes, the motivations and relationships between the characters are given the depth they need for the audience to empathize with the Royal Family. After being flung to the far corners of Hawaii, the Royals are all on their own journeys. Black Bolt landed in the middle of a street and was arrested and jailed. Gorgon has fallen in with a band of former soldiers turned surfers. Karnak ends up with marijuana growers deep in the forest. Crystal, after escaping Maximus, has ended up with a hot guy who is helping her nurse Lockjaw back to health. And Medusa has been steadily making her way back to Black Bolt while fighting all the way. Since they are separated, most of the character’s backstories are revealed as the Inhumans forge new friendships with the humans they encounter. Karnak, for instance, started the show as an arrogant, know-it-all, due to his power to quickly calculate and assess situations. Now thrown out of his element, he’s beginning to shed his ego. By the end of the fourth episode, Black Bolt and Medusa have reunited and the audience is now privy to Maximus’ ultimate plan; he’s hoping to find the key to the Inhuman gene in humans and trigger his own terrigenesis. Having reached the midway point, Inhumans has started to find its groove and will most likely finish the season strong, just like its predecessor Agents of SHIELD. But like Agents, the damage may have already been done, since lots of viewers have already written off the show as a flop. 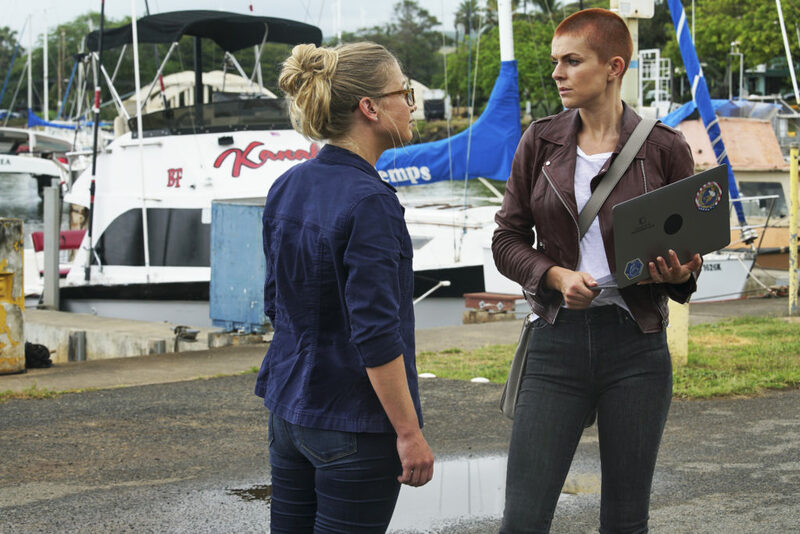 However, the show has improved with every episode and while there are some effects constraints to the TV format, since this is a mini-series, they have time for some much needed character development. The Royal Family has only recently gained prominence in the comics world so unlike other Marvel shows there’s little to no built-in audience and it’s an uphill battle to make their audience find the humanity in this family. Either way, I’m all in and we’ll be here recapping the next four episodes and pulling for the Royal Family to find their way back home. 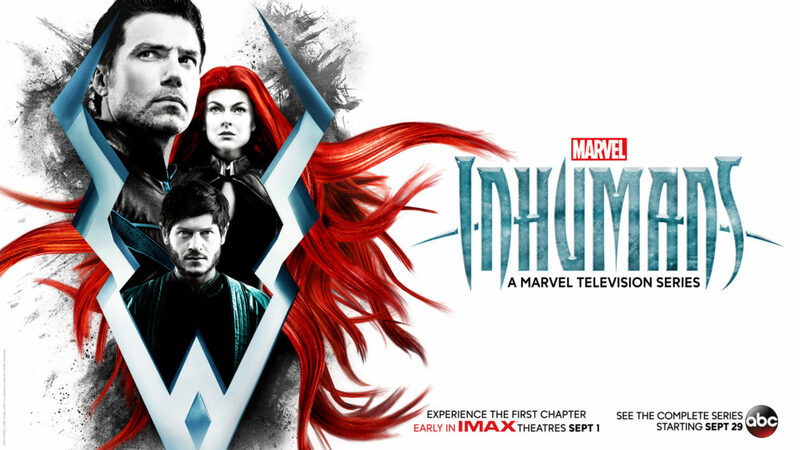 Watch MARVEL’S INHUMANS on Friday’s 8p/7pc on ABC. Or stream it later on Hulu.